Nissan gave Super Bowl viewers a glimpse of the redesigned 2016 Maxima. 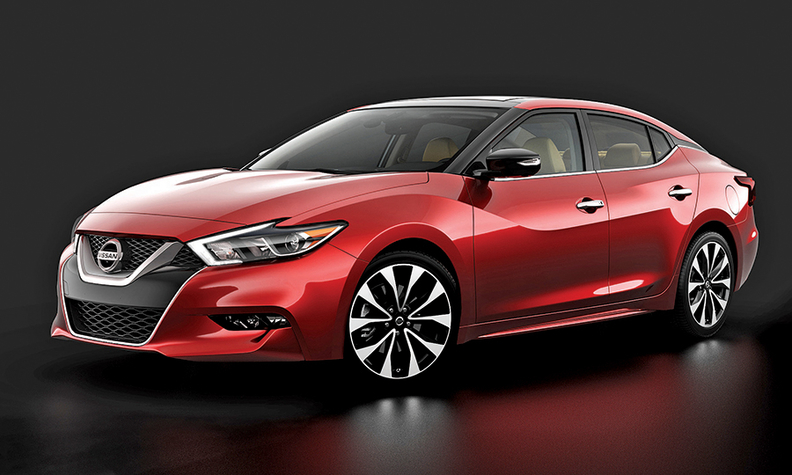 NASHVILLE -- Nissan gave Super Bowl viewers a sneak peek at its redesigned 2016 Maxima sport sedan. The unidentified cherry-red car that flashed in full profile at the tail end of Nissan's 90-second TV spot revealed the production-version Maxima that is only slightly trimmed back from the "Sport Sedan Concept" shown at the 2014 Detroit auto show. The redesigned model goes on sale this spring. The styling uses flowing front-end contours that focus on Nissan's V-shaped grille, and includes a "floating roof" design that mimics the redesigned Murano crossover. A floating roof is created by visually separating the roof line from the tops of the body pillars.